Clinical Hypnotherapist Laurie McDonald, owner of True You Hypnotherapy, is the founder and organizer of the ‘Sacramento Alien Abduction and Contactee Support Group’. She is a graduate of the Alchemical Hypnotherapy Institute of Sacramento and was a teacher’s assistant at the Alchemical Hypnotherapy Institute of Santa Fe, New Mexico. 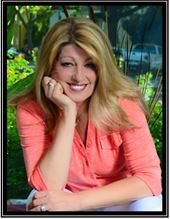 Laurie is a graduate of the Dale Carnegie Effective Speaking and Human Relations courses, is a member of the Sacramento Institute of Noetic Sciences and is on the mental health referral list for organizations such as OPUS and MUFON. She has recently accepted an offer as a consultant to the research committee of the Edgar Mitchell foundation F.R.E.E. and is a team member on the upcoming Fox Channel series –Xperiencers-. Laurie is A.C.H.E. accredited and has been a certified Clinical Hypnotherapist since 1995. Her life’s passion has been working with experiencers, helping them gain insight and balance. She teaches life skills for self actualization and conducts personal empowerment workshops. True You Hypnotherapy is a BBB accredited business and has been a three time winner of the ‘Sacramento’s Best Of’ award for hypnotherapy services.